BDSolution program facilitates the preparation of final drawings of RC beam. 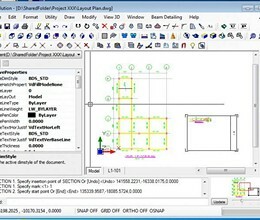 It provides the tools and links to create detailed drawings of RC beam in an intuitive manner after user completing the structural design of the beam elements from a range of BDSolution supported third party structural software packages which includes ETABS, STAAD. Pro, Oasys AdBeam, EsteemPlus, CSC Orion, Prokon Continuous Beam Module, PCDC RAPT, Esteem7/8, MTM, Midas Gen and Adapt-RC. 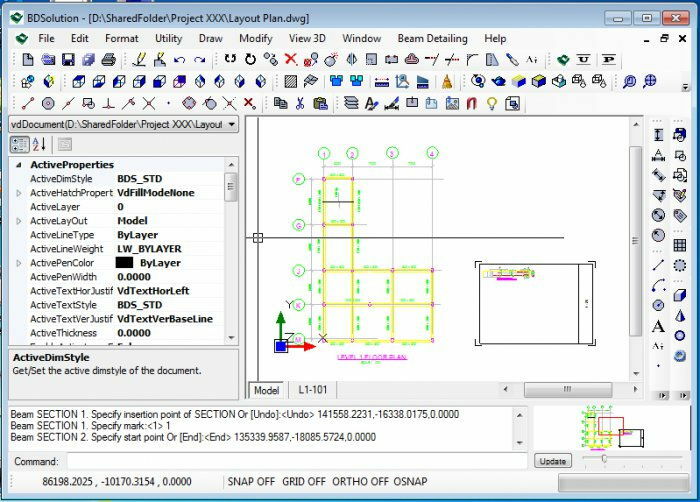 Customizable beam drafting standards such as simplified rules curtailment length factors and options, bar crank dimension, bar lapping dimension, bar anchorage length options, cover to bar center distances, minimum clear distance between bars and bar sizes limit. * BDSolution download link provides trial version of the software. BDSolution has been rated 5.0 out of 5 points. A total of 3 votes cast and 0 users reviewed the software.